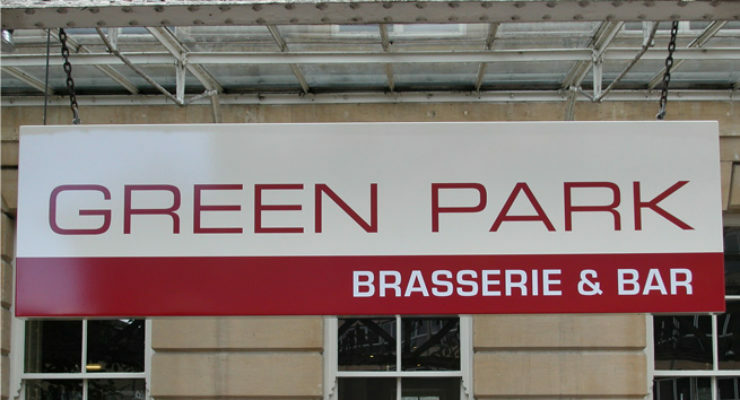 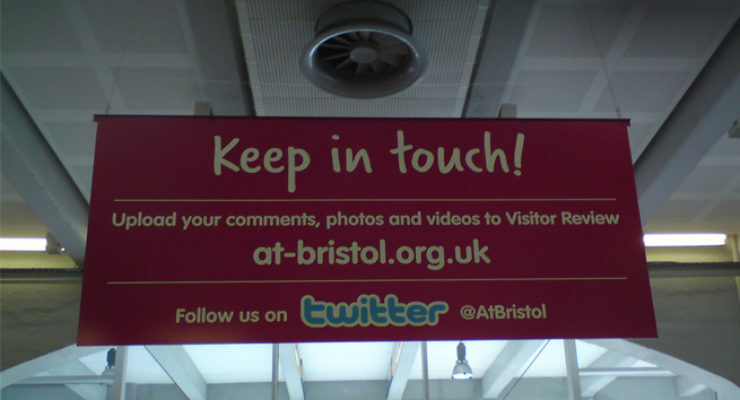 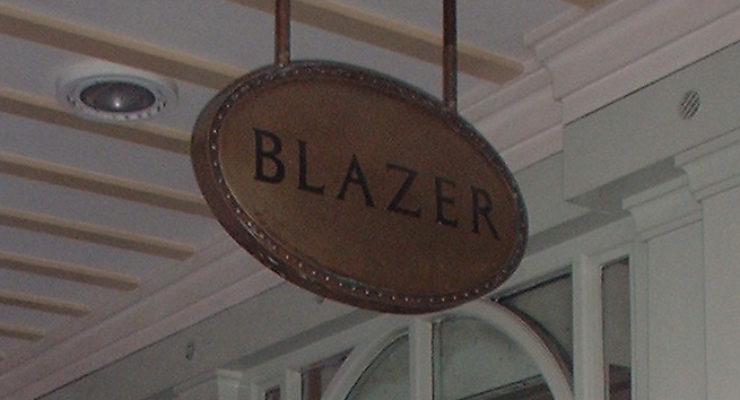 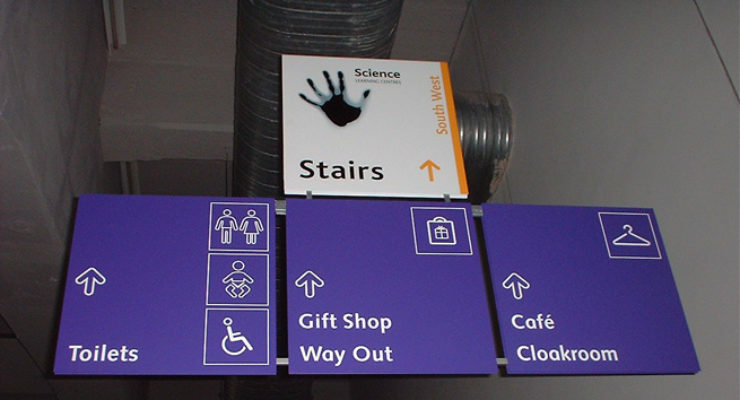 Hanging signs are used when you have no wall or another medium to fix the sign to, or when it is necessary to have signage above a feature, such as an information desk or on the junction in a corridor. 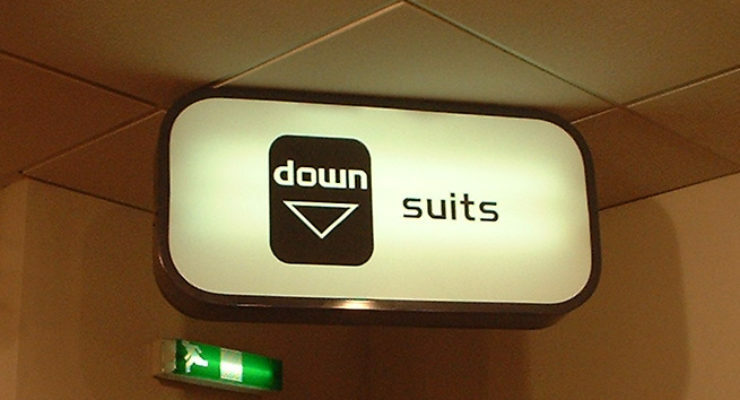 Depending on the structure of the ceiling, different fixings are needed, but there is usually an appropriate solution to each type of ceiling, be it plaster, concrete, or the many types of suspended ceilings. 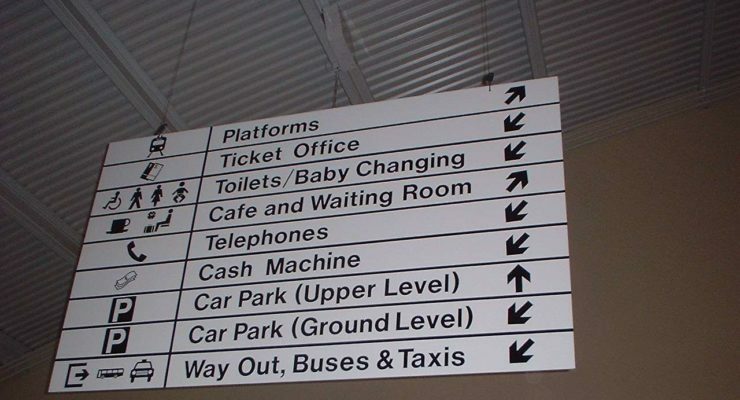 The signs are then suspended from the fixings using wire, clips or hooks. 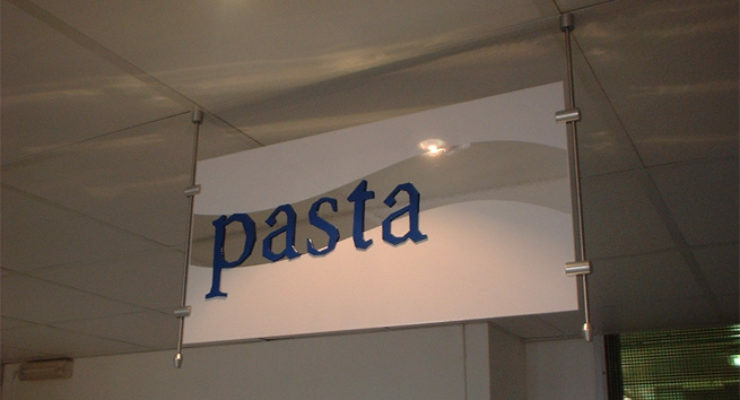 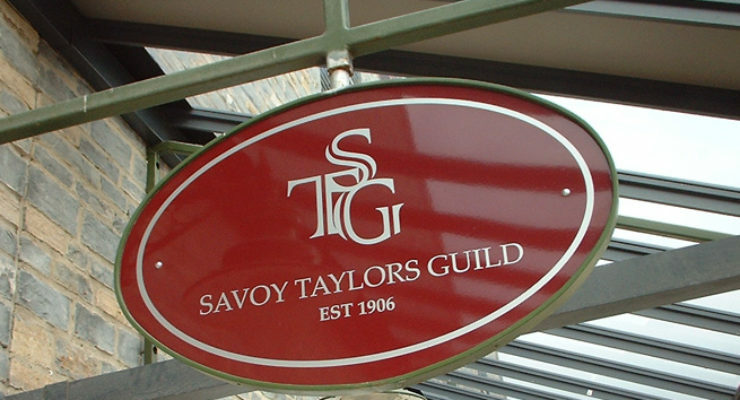 One of the benefits of suspended signage is that the angle is flexible, and usually, there is nothing in the way making them ideal to enhance visibility and field of view.